The Strontian Boutique Bed and Breakfast is a lovely wee guest house near Strontian and recently featured on Channel 4's Four in a Bed. The Strontian Boutique Bed and Breakfast is a lovely wee guest house near Strontian offering luxury accommodation, a variety of amenities and a locally sourced Scottish breakfast. The Strontian Boutique offers three en-suite guest rooms, one with twin beds, one with a queen sized bed and one with a double bed. There is also a lovely tastefully decorated guest lounge to relax in. Enjoy a delicious breakfast with locally sourced products in the cosy breakfast room. 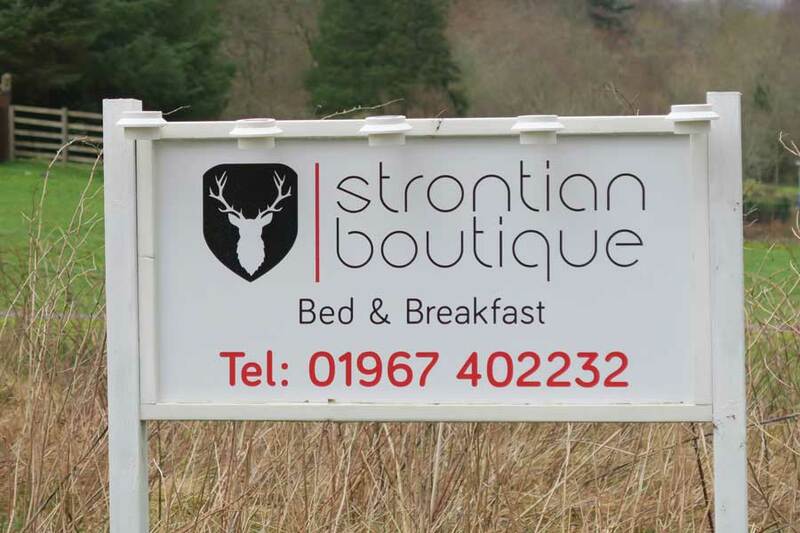 The Strontian Boutique Bed and Breakfast was recently featured on Channel 4's Four in a Bed. Location is the key at the Strontian Boutique, being ideally positioned for walks in the local Ariundle National Nature Reserve and along the shore of Loch Sunart. Be sure to pack your binoculars and look out for otters, eagles and red deer in the local area.